With Red, White and Blue waving in the wind, may our hearts pray for the fallen and the weak. Indeed, we truly have much to be thankful and appreciative for. Those brave men and women who have (and still do) fight to keep us free will always in all ways be remembered. 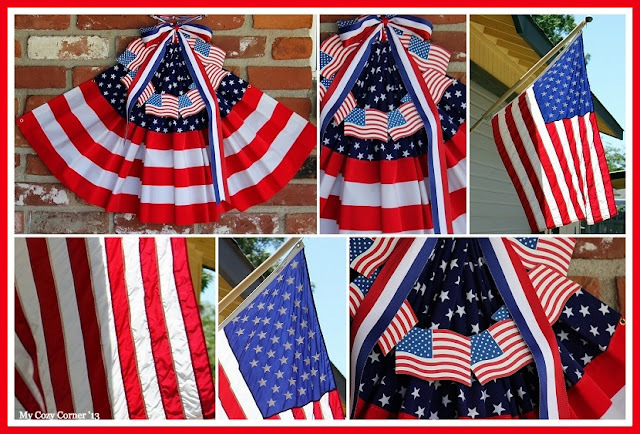 Love your red, white and blue -- great tribute on Memorial Day. Happy Memorial Day weekend! Great tribute to our fallen heroes. Have a happy week ahead! Happy Memorial Day weekend, Betty. It's important to remember the fallen. A nice tribute for your Memorial Day Betty. Happy Memorial Day to you. Nice tribute.